Zorin OS 9 takes Linux and makes it accessible to Windows users. With well designed interfaces, a familiar look and feel and the best desktop software pre-installed it really is a good way to dip your toes into the Linux pool. 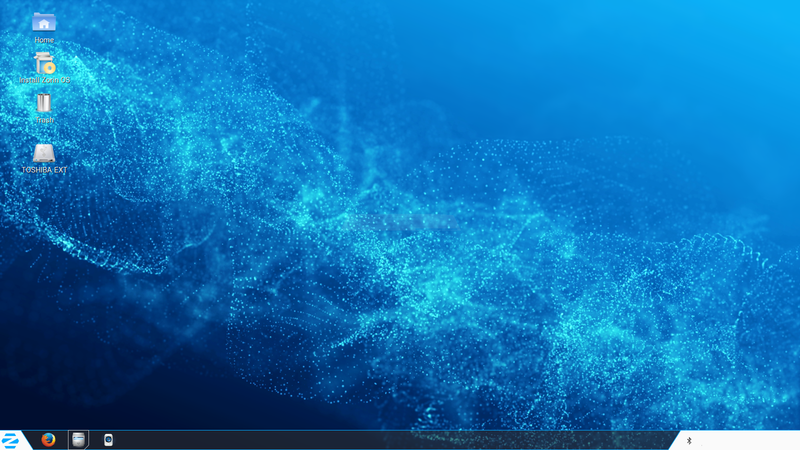 This quick guide shows how to replace your current operating system with Zorin OS 9. To read all about Zorin OS 9 visit http://zorin-os.com/. To download Zorin OS 9 visit http://zorin-os.com/free.html for the free version or http://zorin-os.com/premium.html for the premium version. There are links available to download the 32-bit or 64-bit version. Make sure you choose the correct one for your machine. After downloading the ISO file follow this guide to create a bootable Linux USB drive but choosing the Zorin OS 9 file that you just downloaded. With the drive created reboot your computer with the USB drive still plugged in. A menu will appear with a list of options. Choose the “Default” option. After booting into Zorin OS 9 you should feel pretty much at home if you are a Windows user. The desktop has been specifically designed to look and feel like Windows. Note that even though the above image looks like Windows 7 there is a setting available that makes the desktop look more like Windows XP if it makes you feel more comfortable. 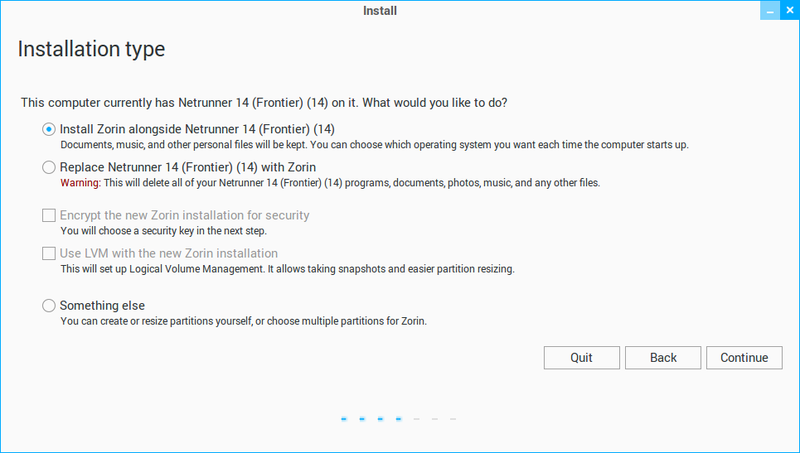 To install Zorin OS 9 click on the “install” icon on the desktop. If you have prior experience of installing any Ubuntu based Linux distribution then this guide will be familiar. 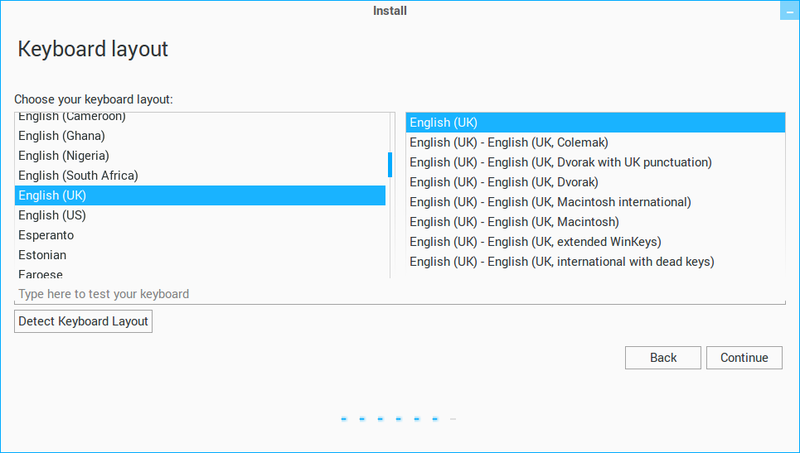 First of all choose the installation language. You can now choose whether to connect to the internet or not. Connecting to the internet makes the installation take a bit longer because it installs updates as it goes along. 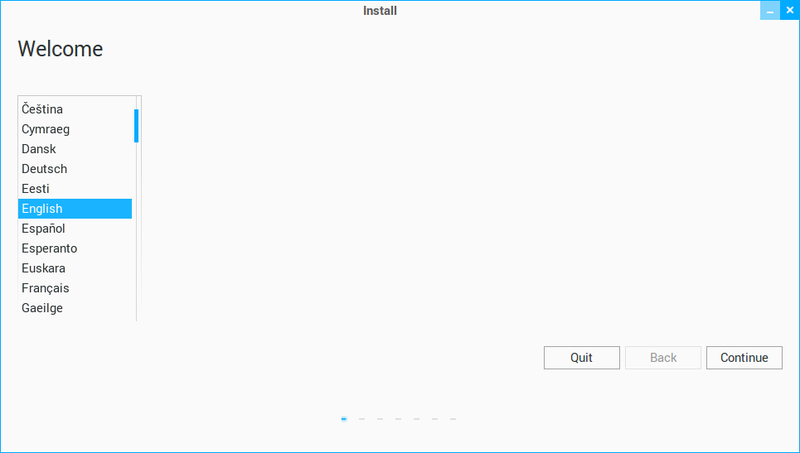 Obviously this time is offset against having to download and install the updates post installation. 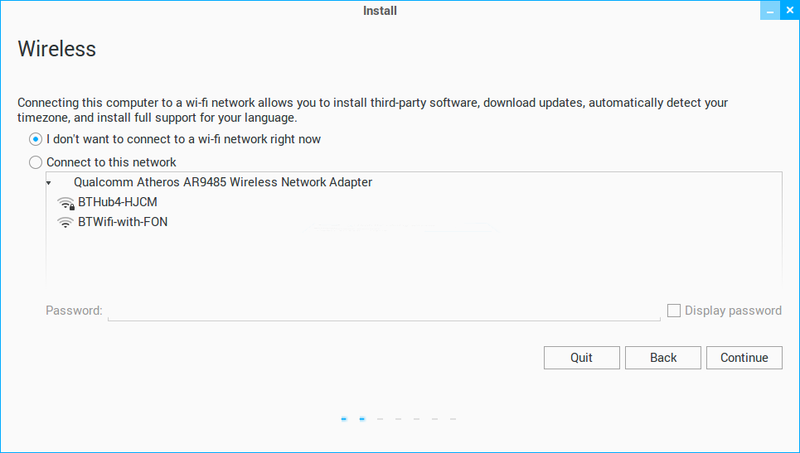 If you have a slow internet connection I would recommend not connecting now but to install Zorin and then connect after the installation is complete and install the updates. Make your decision and click “Continue”. Ideally to install Zorin you will have a great internet connection and be plugged in to a power supply. 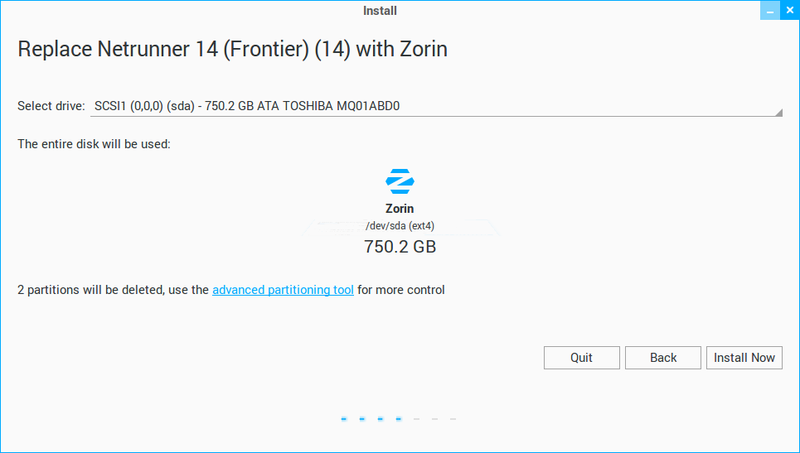 Realistically though as long as you have enough battery power and enough disk space you will be fine to install Zorin. I would recommend plugging your laptop in if you are going to replace the operating system, otherwise there is no telling what state your system will be in if the power dies. 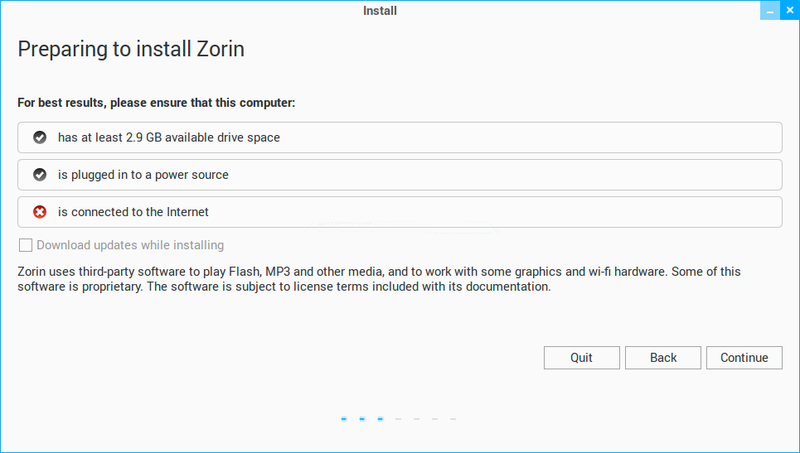 The “Preparing to install Zorin” screen shows you how ready you are to install. The “Installation Type” screen will be slightly different depending on what you already have installed. In the screenshot above you can see that I already have Netrunner installed and therefore I have the option to install alongside, replace Netrunner or something else. If you are running Windows then you will have the option to install alongside Windows or replace Windows. Note that these instructions will not work with Windows 8. That is a guide for another day. Select the “Replace with Zorin” option to replace your current OS with Zorin OS 9 and click “Continue”. A big warning message will now appear stating that everything will be wiped. This is your last chance to change your mind. If you are sure you want to do this, click “Install Now”. 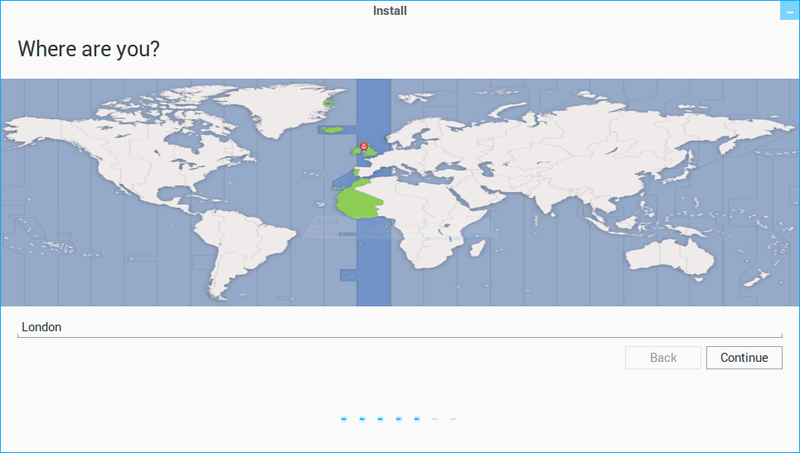 The next screen asks you where you are in the world so that your timezone will be correctly set when you use Zorin for the first time. Click where you live on the map and click “Continue”. Select your keyboard layout from the aptly titled “Keyboard Layout” screen by choosing where you are and your language and then click “Continue”. Finally create a default user and define your machine name. 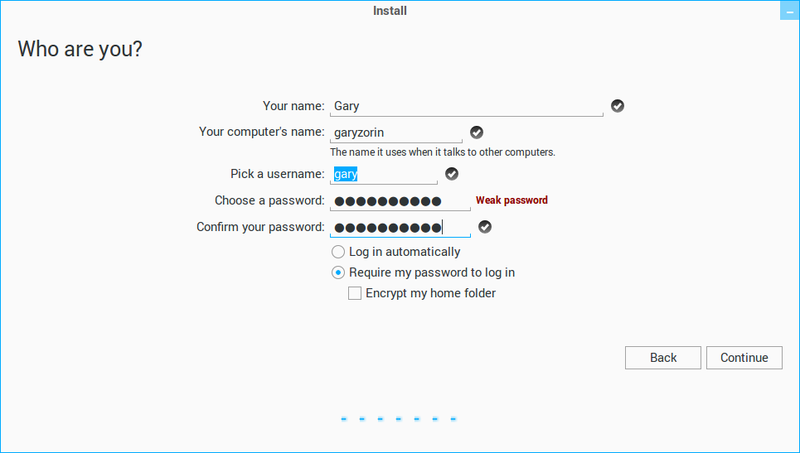 Simply enter your name, a descriptive name for the computer, a username and a strong password. The Zorin OS files will now be copied across and the system installed. When everything is done you will see the following screenshot. That is it. All you need to do now is restart your computer and remove the USB drive. Now obviously this guide was quite quick and quite specific. Maybe you wanted to dual boot Zorin OS with Windows 7 for instance or maybe you wanted to try Zorin OS out in a virtual machine. Whilst the following links were created for other versions of Linux all you need to do is replace the version of Linux used in these articles with the Zorin OS ISO downloaded earlier. This article was created in advance of the upcoming review of Zorin OS 9. Heyyy, You posted this on my birthday!